You can edit expenses when they are in your Draft expense area. 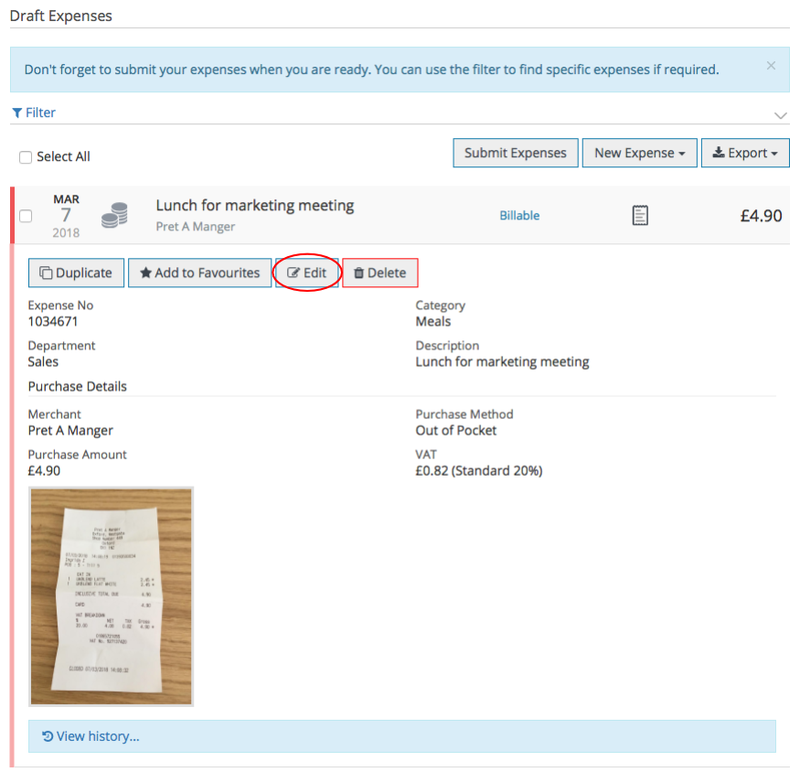 You can only edit expenses within the Draft area of your account. If you spot a mistake once submitted you may want to recall the expense. In the Draft area, click on the expense you would like to edit. The expense will expand and you are able to click Edit. When you have made your changes click Update.